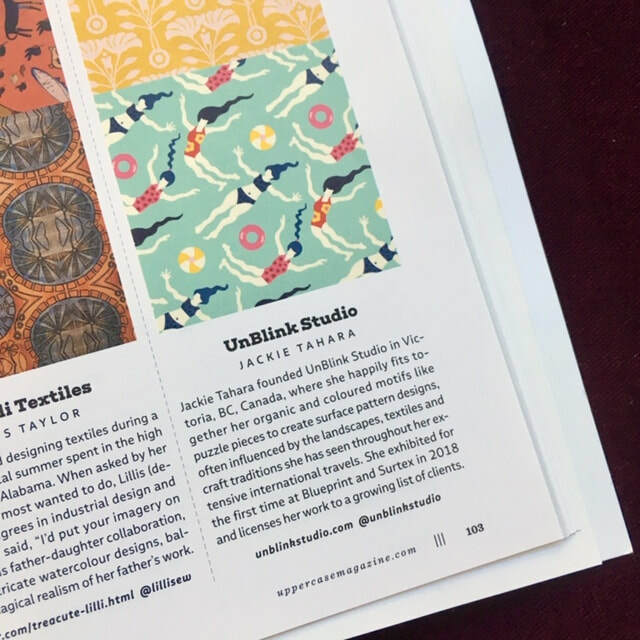 My surface pattern designs are being noticed! 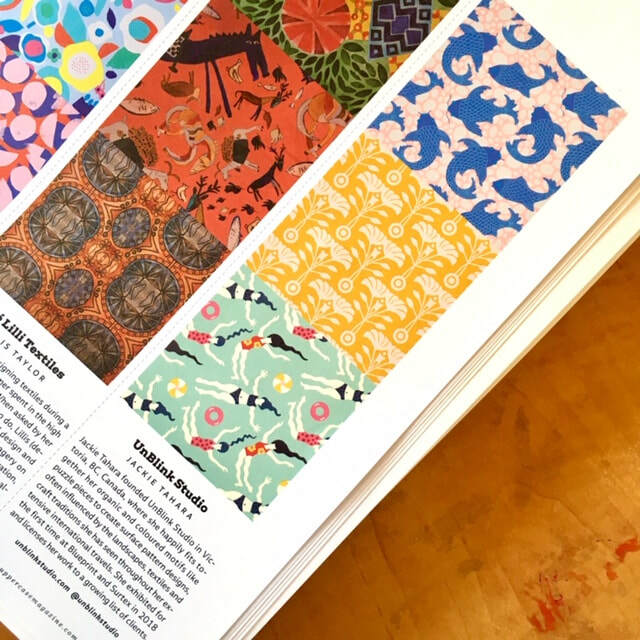 I have recently won several design competitions and have been featured on international pattern design blogs and in newsletters and magazines. See below for a selected list and also check out my Blog for all my latest news! 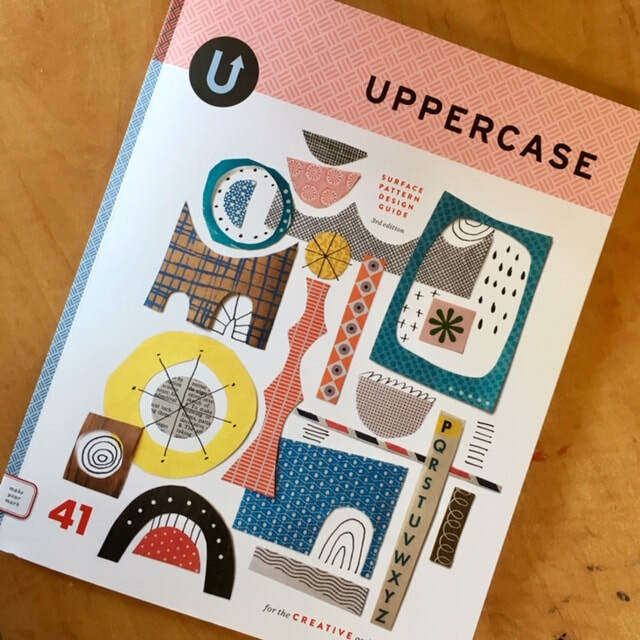 Issue #41 of UPPERCASE Magazine contains the 3rd Edition of the UPPERCASE Magazine Surface Pattern Design Guide featuring "the best in up-and-coming surface pattern designers"! From 674 entries 100 designers were chosen, including me on Page 103! 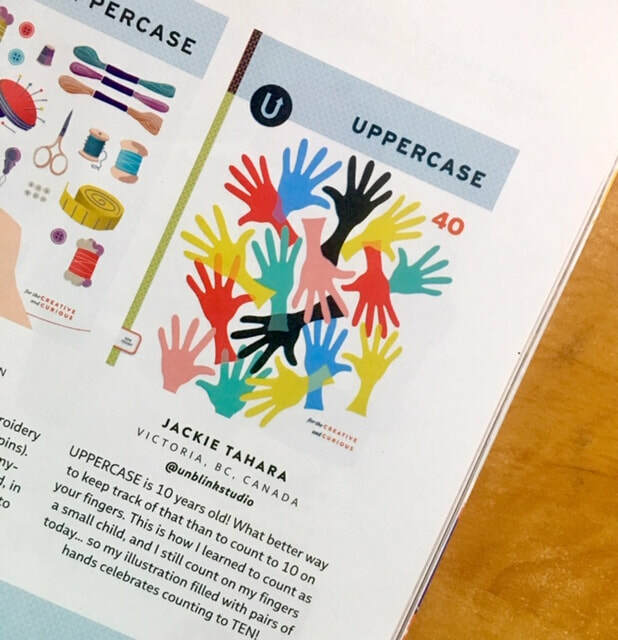 Thanks to Janine Vangool at UPPERCASE Magazine! 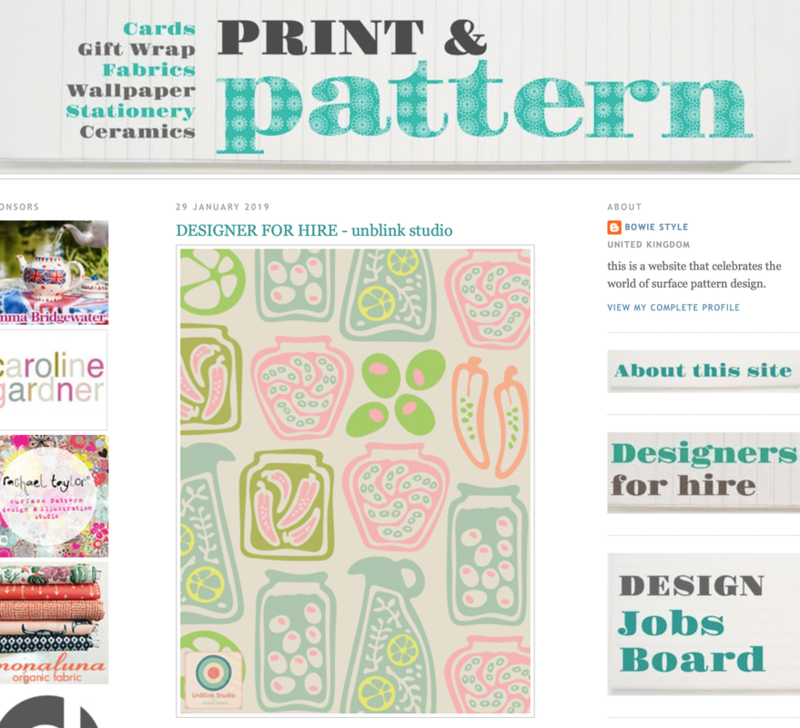 I have just been included in the prestigious Print & Pattern "Designers for Hire" Directory today! Read the Blog Post about my work. Published on January 29 2019! My cover contest submission was published in Issue #40 of my fave magazine, The 10th Anniversary Issue (Jan-March 2019)! A designer interview in which I discuss my process, design inspirations, current projects and my love of travel (September 27 2018)! 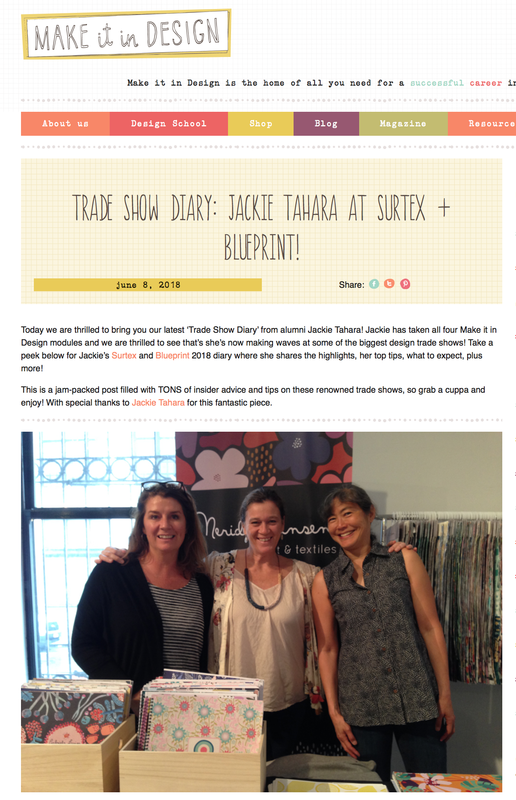 Read my "Trade Show Diary" about exhibiting for the first time at Surtex and Blueprint 2018, posted on the Make It In Design Blog (June 8 2018)! ​Check out the announcement of the winners on the Corgi Sock Blog! A wonderful feature on this internationally-renowned surface pattern design blog. Published on January 24 2018! My on-trend designs are included in Emily's widely-read publication!